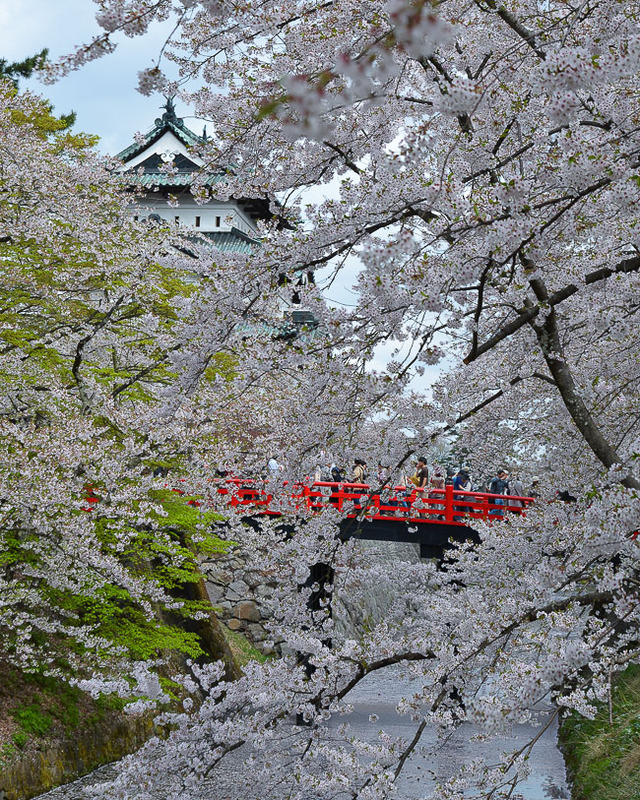 Today we headed north to Hirosaki Castle in Aomori Prefecture for this year's final cherry blossom report from the Tohoku Region. 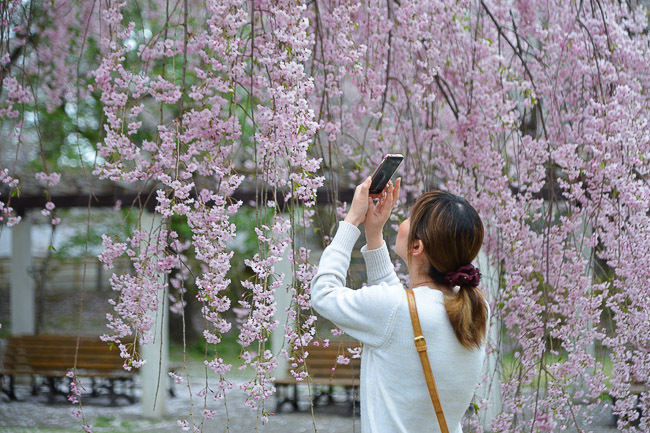 With several thousand cherry trees planted around its grounds, Hirosaki Castle is an amazing site for hanami flower viewing and is ranked among both Japan's top 100 cherry blossom spots and the Tohoku Region's three best cherry blossom spots. 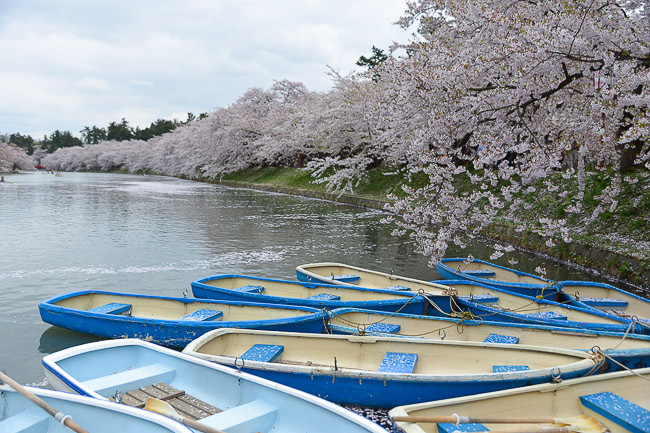 Some even consider it to be the absolute best in all of Japan as it incorporates all the different aspects of great cherry blossom spots such as castle moats, cherry blossom tunnels, beautiful picnic areas, rowboats, etc all into one site. 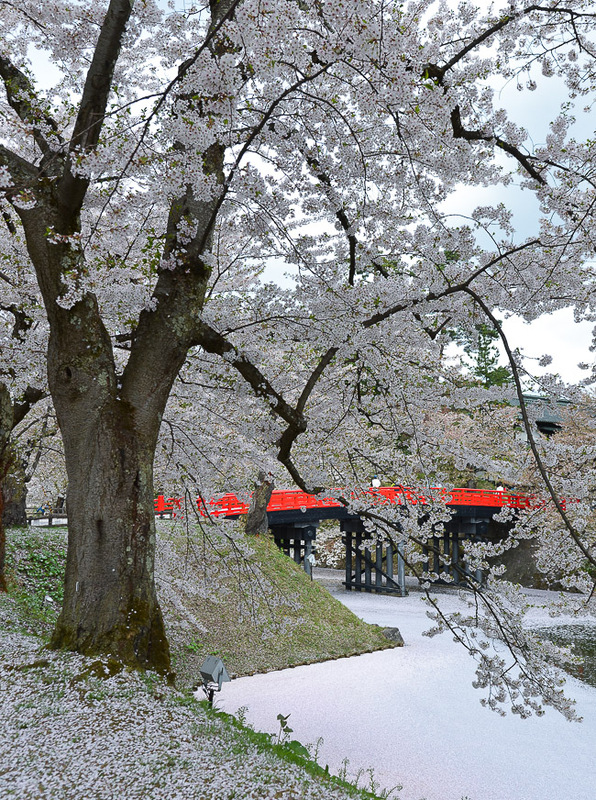 Just outside the entrance to Hirosaki Castle are the castle's outer moats, which are lined by hundreds of Somei Yoshino cherry trees. 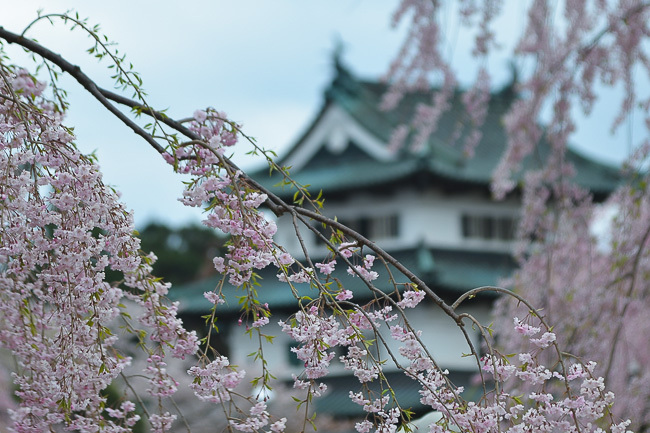 These tend to bloom slightly ahead of the rest of the castle grounds, and by today have already lost the majority of their blossoms. 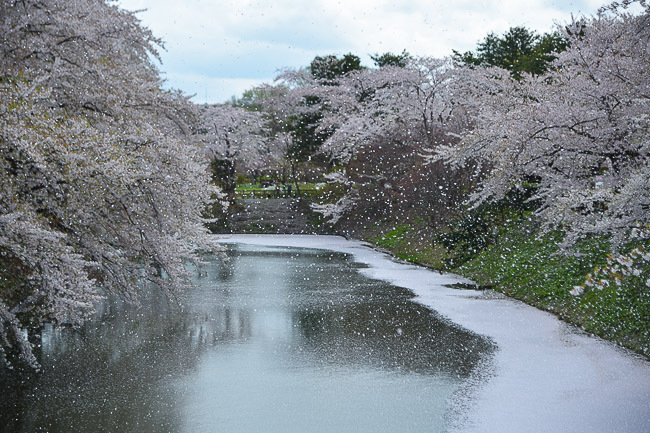 However, this is actually one of the best times to enjoy the area as the millions, if not billions, of pink petals collect on the surface of the moats turning them pink in the process. 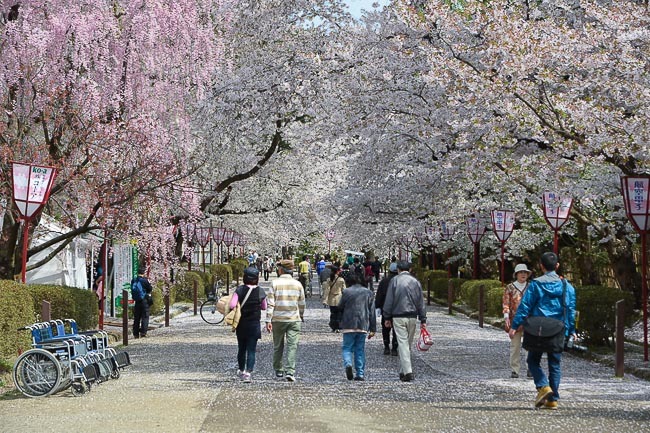 Inside the castle walls is a large park area just filled with hundreds of cherry trees of different types. 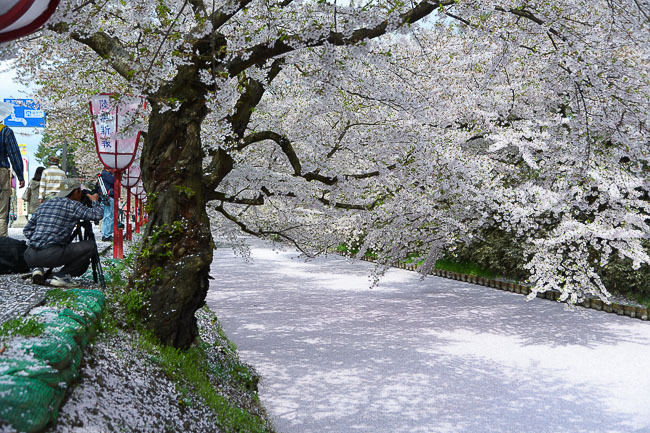 These are planted over lawns and playgrounds providing ample space for picnics, and along the walking paths forming beautiful cherry blossom tunnels to walk through. 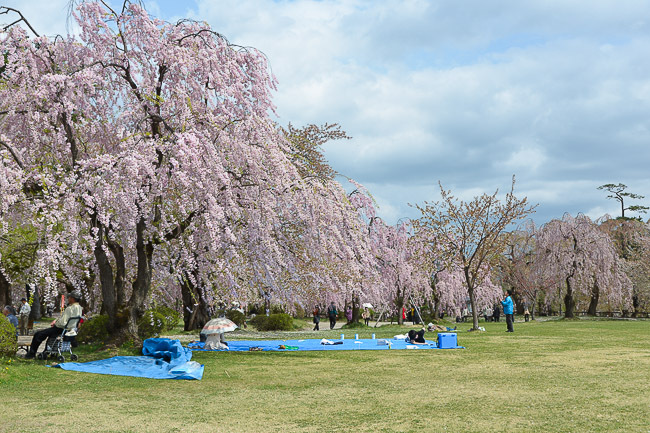 One of the most popular areas was along the castle's inner moat where the Somei Yoshino trees were creating swirling cherry blossom storms (hanafubuki) with each gust of wind. 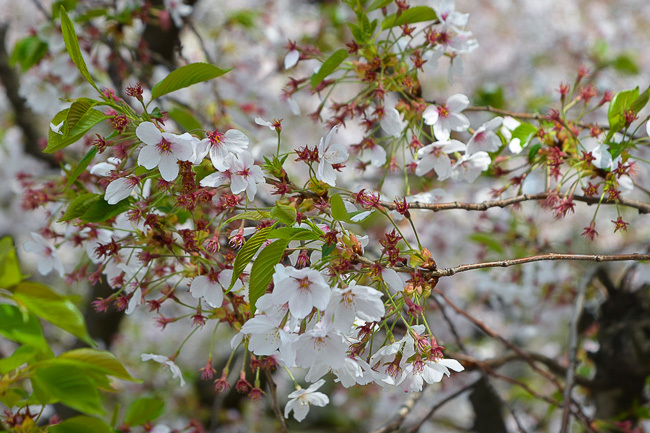 Even though the Somei Yoshino trees were losing their petals, there were plenty of other cherry varieties around the inner grounds that were at full bloom. And some areas towards the northern part of the park had lots of different late blooming trees that were just starting to open. 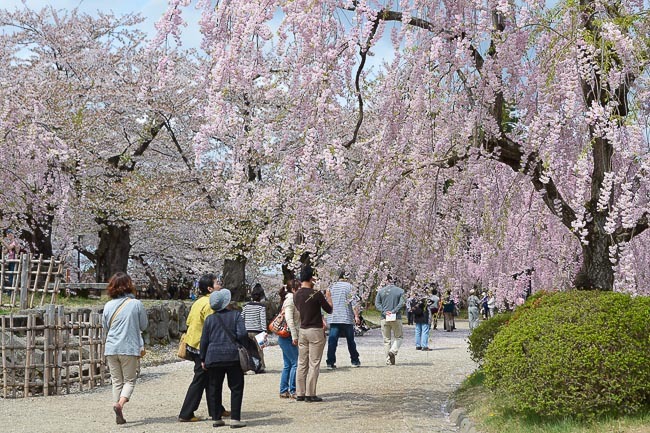 After crossing the inner moat you can enter the castle's main grounds (honmaru), which is a paid area that contains Hirosaki Castle's relatively small keep. 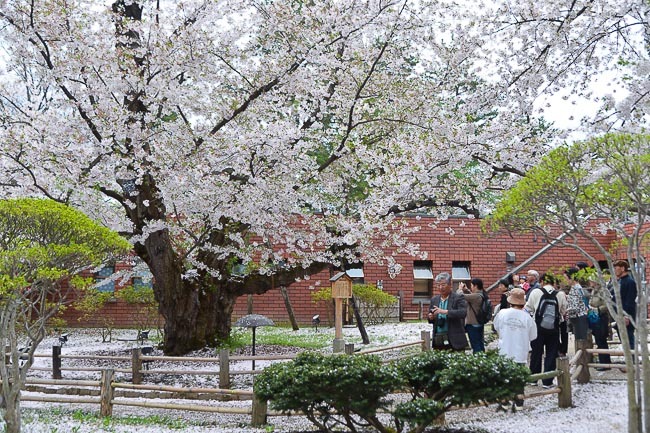 This will be one of the last years to see the keep in its current state before it is moved further into the honmaru in an upcoming renovation project. 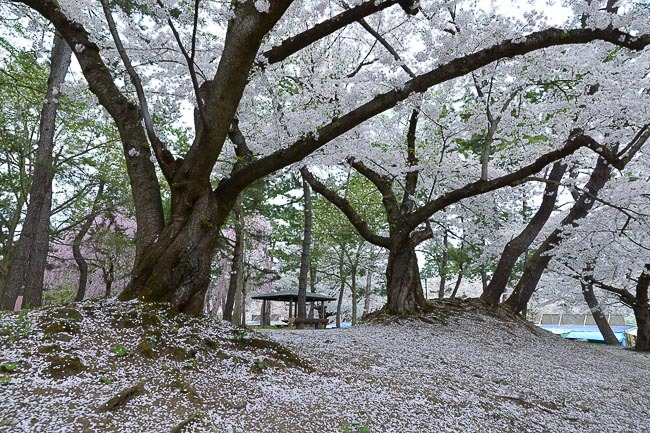 The honmaru also contains a large variety of cherry trees including Somei Yoshino, weeping cherry trees (Shidarezakura), and a large number of late blooming weeping cherry trees (Yaebeni Shidarezakura). 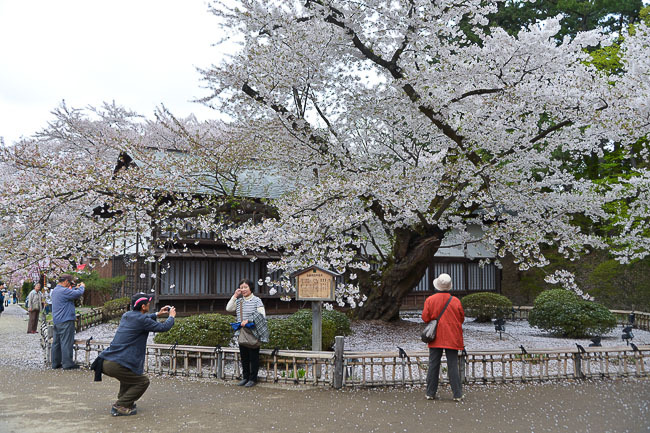 Our timing couldn't have been better as virtually all of the different trees around the honmaru were at the peak today. 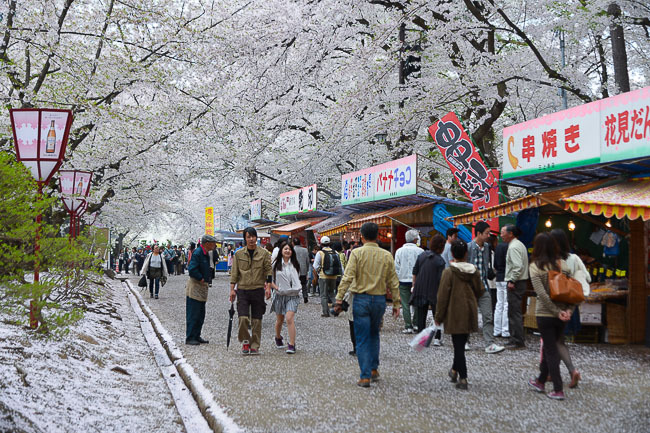 This was very lucky for us and definitely worth the 310 yen entrance fee. 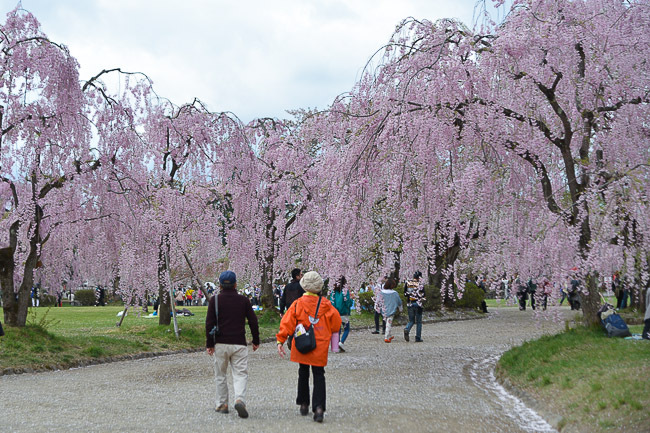 The last area of the park that we visited today was a stretch of several hundred Somei Yoshino trees planted along the western moat. 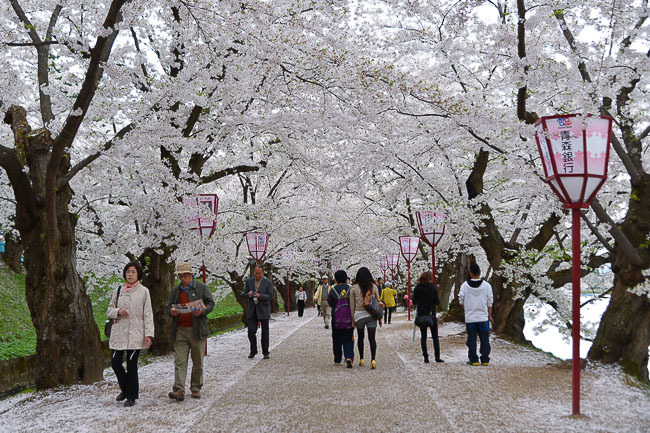 A walking path leads through the trees which form a very nice cherry blossom tunnel overhead. 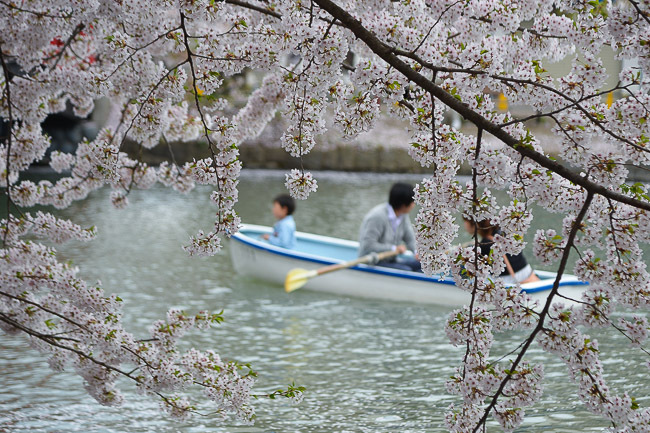 The blossoms also overhang the moat and can be enjoyed from rowboats which can be rented from around the southern end of the tunnel. 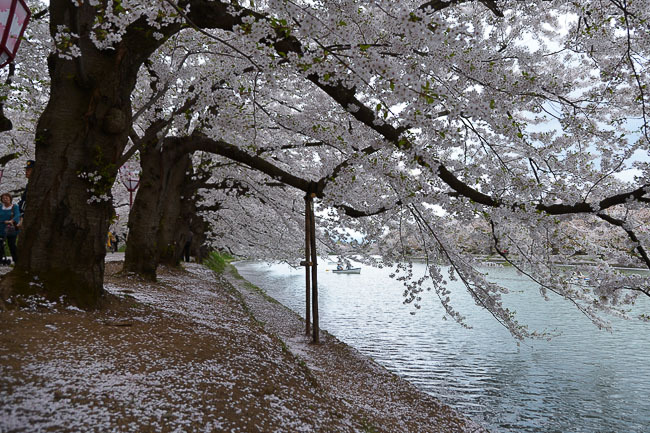 These trees tend to bloom slightly later than those around the rest of the park and were still at full bloom today. They should remain nice for several more days and especially over the next few days as the petals start to fall into the moat.